Richmond Hypnotherapy brought to you by the Internet Chamber of Commerce. Choose a company to see comprehensive business information. 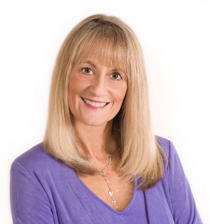 Deborah is an experienced Certified Hypnotherapist (CH) and Certified Instructor of Hypnosis (CI). Her professional affiliation is with the National Guild of Hypnotists (NGH), through whose programs she is certified. In addition, she is certified in several hypnotic techniques including Complementary Medical Hypnosis, Pain Management, and Regression Hypnosis which are her specialized fields of interest in her practice promoting Women’s Wellness. She holds a Ph.D. in Psychology, an M.A. in Transpersonal Studies, and a B.A. in Education. For the completion of requirements for her Master’s Degree, Deborah initiated a research study at the Health & Rejuvenation Center of the Edgar Cayce’s A.R.E. located in Virginia Beach VA, working with clients of various ages and health challenges. In conjunction with healthcare practitioners and physicians, the study examined the “Effects of Hypnosis on Health” and findings strongly confirmed the effectiveness of hypnosis as a beneficial complementary medical adjunct for a broad range of physical symptoms and diagnosed conditions. An ordained Minister, Certified in Pastoral Caregiving through the Virginia Institute of Pastoral Care in Richmond (VIPCARE), Deborah has served her local faith communities through Board service, and Church leadership. In addition, she was the founder and Director of Unity Spirit, a non-profit Center providing pastoral care and spiritual enrichment in Richmond. Deborah currently lives in Richmond, VA where she offers hypnotherapy services by appointment at The Wellness Village at Starling in Westend Richmond. In addition, she serves on faculty at Atlantic University in VA Beach instructing graduate level coursework in transpersonal psychology and regression hypnosis. There are many reasons we may need to heal. Simply addressing one or two symptoms of a problem without acknowledging the core issue is not enough. In order to release pain and trauma, we need to address it in a holistic manner - that is, at all levels: body/mind/spirit. Suggestions may be direct or indirect or may utilize anesthesia methods, guided imagery, hypnoanalysis or other procedures. As is so important in hypnosis, attitude is a major factor. It is important that the client accept that relief is possible. Constant pain needs to be approached on a different basis from interim pain. Through hypnosis, clients frequently can be shown that they can control their pains, and being able to do so they also can diminish pain to tolerable levels or turn it off completely at will. A hypnotherapist usually will not work with physical pain without being in communication with an appropriate physician, for the simple reason that pain is more of a symptom than a condition. For this reason a referral may be required from your attending medical provider(s). Among the primary reasons why people seek therapy is the need to deal with fear reactions. The range of such problems is extensive - from simple, annoying "hang -ups," to specific (or non-specific) fears which affect the activities or enjoyment of life. Fears can, of course, develop in adulthood through traumatic experience, but most prove to have originated in early, impressionable years. An individual can be threatened by something that does not in reality present a life threat. Yet the reaction is the same as it would be in a situation of real danger. The fear generates more fear, and the situation cannot be confronted in a calm state so every effort to avoid it is made. Hypnotic suggestion can replace catastrophic thoughts with truthful statements explaining the nature of the symptoms and the realization that the physical sensations can cause no harm. Hypnosis can slow the heartbeat, achieve a sense of balance, generate relaxation through deep breathing, free the throat to swallow, overcome sensations of temperature change and promote clear-headedness. Once causal factors are revealed, the hypnotherapeutic technique of desensitization brings the psyche back into balance, eliminating the fears. The fears are met and faced through the subconscious mind. Repeated confrontation causes deterioration of the fear symptoms and increases the ability to face and deal with past traumatic experiences without apprehension, which the conscious mind then accepts. The human brain receives messages from several sources, each dealing with separate types of information. Our own bodies provide data concerning movement, digestion, tension, pain, etc. all in the form of messages, sent to the brain. When the conscious mind can no longer handle the message units overloading the brain, the subconscious prepares us for flight or fight. But sometimes, there is nothing to fight. The threats may be real or imagined. Remember, the subconscious mind does not analyze, and usually by the time depression appears, the conscious mind has lost its ability to do so. However, there are several common basic causes of stress which can be recognized, defined and often eliminated. The cumulative result can strain various systems in the body, including the immune system. Hypnosis has shown positive results in counteracting this detrimental state. Hypnotherapy helps you learn to influence the balance that maintains health in relation to the outside world. A person experiencing continuing stress may well become subject to frenzy, and develop any or several forms of stress-related illness. While the world, or the past if it is a factor in the condition, cannot be changed, it is possible to alter the client's perception of and reaction to them. Sheer willpower is not the remedy in stress cases. Effective and permanent relief can be brought about through hypnotherapy. It is important to analyze the stress stimuli and the physical and/or emotional responses which they bring about. Through hypnosis, positive new responses can be created to replace overwhelming reactions. Buried feelings can be brought to the surface and released. Outside pressures can be relieved. And finally, new responses to old disturbances can be encouraged with major changes in attitudes and reactions through changes in perceptions. Insomnia responds wonderfully well to hypnosis. Often, following a hypnosis session, the subject will sleep quite soundly due to the deep relaxation achieved during the session itself. Simply learning hypnotic relaxation can create physical and mental conditions conducive to achieving the necessary rest patterns. In addition to offering suggestions conducive to restful sleep and teaching self-hypnosis; a personalized recording is designed to deal with individual concerns. The recording leads the client into deep, comfortable relaxation with instructions at the end to enjoy restful sleep throughout the night and in the morning awake refreshed and enthusiastic about the new day. Your hypnotherapist will replace negative thinking and attitudes with positive viewpoints, resulting in mental conditioning for relaxation, peace, and contentment. Self-esteem is a basic essential of success. While poor self-esteem can arise from events which might be considered personal setbacks (in business, relationships, health, etc.) the primary cause is negative programming from the past. It might be a product of judgmental parents, teachers, authority figures, relatives, or friends. Many times derogatory comments, ridicule, relentless criticism and similar factors ignore commendable achievement and simply focus on and accentuate the negative. Frequently these events, hurts, or negative valuations are absorbed by and buried in subconscious memory, with the individual unaware of the sources of troubled feelings, fears, self-doubt and damaging attitudes. Through hypnotherapy it is possible to set aside the conscious mind, seek, locate and uncover the detrimental memories which are adversely affecting the personality, and in bringing the problems to light and understanding, accomplish a result which can free the client from the past and open the doors to future progress and achievement. The establishment of self-confidence can follow the release of past negative programming, eliminating self-perceived negative labels. Hypnosis can become the source of self-discovery, revealing unrecognized capabilities that lead to an acceptance of self. Techniques to establish self-esteem may include: which creates in the mind pictures of success, confidence, and abilities. Enhancing suggestions given in hypnotherapy can be absorbed and accepted, leading to attitude modification and positive demonstrations of newly acquired self-assurance. Mood and energy levels increase, emotions become better understood, negative self-talk is reduced, and positive feelings about life's possibilities develop.